There are 24,000 new cases with stomach cancer diagnosed in the USA on yearly basis. If this type of cancer is caught early, the survival rate can be even 90%, however, the symptoms rarely occur until the disease spreads to the other organs. During this stage, the disease cannot be treated and the survival rates are lower. When the cancer cells start forming in the inner lining of the stomach they grow into tumor and this is also called gastric cancer. The disease grows slowly over many years. It can be spotted early in case you know the symptoms and in that way be able to treat it. 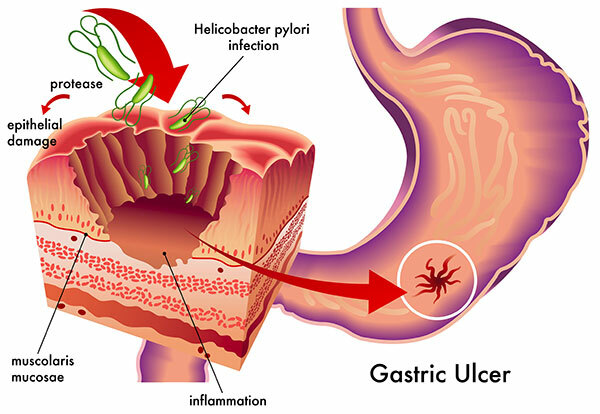 The reason for its occurrence is not known, but there are a few risk factors that contribute to it like bacteria H. pylori which causes ulcers, gastritis (inflammation in the gut), long-lasting anemia, as well as growths in the stomach called polyps. A sense of fullness in the upper abdomen after eating a small meal. These symptoms may be caused by other things other than cancer and those can be ulcer or stomach virus. Moreover, these symptoms may also occur with other cancer types. No matter what the issue is, you should always check with your doctor in order to make the proper and right diagnose. Only 1 in 5 stomach cancers in the USA can be detected in early age as the symptoms often do not appear until the disease is advanced. You need to be very cautious. In case you suffer from any of these warning signs or are worried about your risks you need to consult your doctor. You may be asked to visit a gastroenterologist for further evaluation.